Imported from France. 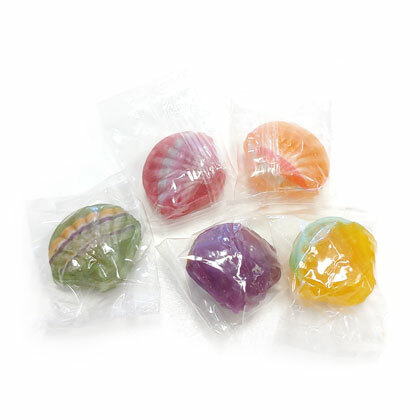 Fruit filled sea shells. Approx. 4 pieces per ounce. Individually wrapped. 8 ounce bag.